With hundreds of museums and galleries in town Berlin is one of those cities where you’ll seriously have a difficult task ahead of you choosing the right ones to go to. Many of them are of high quality, the variety of themes covered is huge and you’ll easily spend one or two hours in the majority of the bigger museums, when using audio guides (where available) probably even more. Finding time to visit them all during your visit is simply impossible, unless you’re planning to stay around for a while, an option we would certainly not mind, but which for most of us is often not really feasible. While we were in the city we were kind of struggling ourselves with putting our ‘art itinerary’ together for the limited days we had. With the booklet ‘Museums to Enjoy’ of VisitBerlin.de in hand we did however quickly limit down our list of museums we were really interested in visiting. Now it was ‘just’ a matter of fitting them into our schedules for the days we were around. Where many cities worldwide have a standard day on which museums are closed – mostly Mondays – in Berlin they’ve opted to have different weekly closure days for the museums around, which is especially a bliss for visitors who stay for a long weekend with a Monday included with their weekend away. Thus, if you’re in town on a Monday, there are still plenty of museums to visit, just make sure to check which ones are open and plan accordingly. 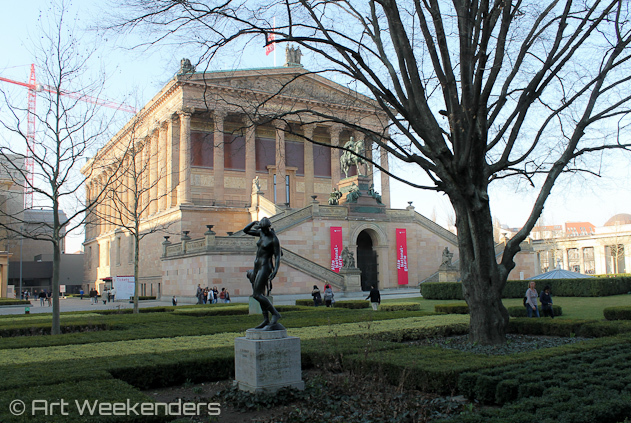 Below we have listed some of our favourite museums in the German capital. Do you have a favourite? Alte National Galerie, Berlin, Germany. The Museuminsel (Museum Island), a Unesco World Heritage site since 1999, is for many visitors the one place to visit to indulge some culture when spending a weekend in the German capital. Here you’ll find the Neues Museum (translated ‘New Museum’ – focusing on classical, historical and archeological – including Egyptian – art), the Altes Museum (translated ‘Old Museum’ – the archeology museum), the Alte Nationalgalerie (covering 19th century art), the Pergamonmuseum (archeological museum with focus on antiquity, Middle East and Islamic art) and the Bode Museum (mainly exhibiting sculptures made by the classic masters). The Pergamonmuseum is by far one of the most visited museums in Berlin, and even those with less interest in archeology will be impressed by the sight of the Pergamon Altar. Note however that this part of the museum will be closed for renovation as from 29 September 2014 for the duration of five (!) years. 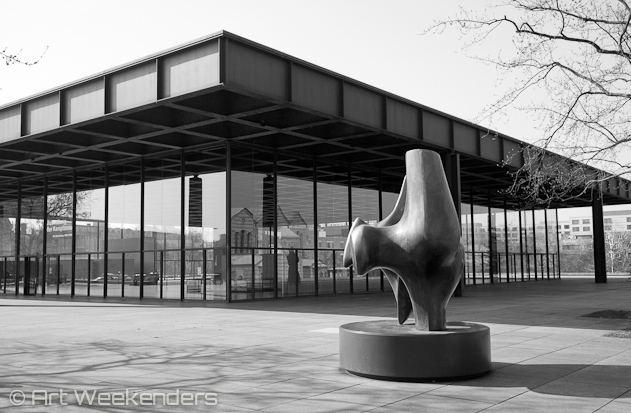 The Neue National Galerie (translated as ‘New National Galerie’) is a modern art museum, focusing mainly on 20th century art. Since the permanent collection is rather large, the artworks rotate on a regular interval to make place for other parts of the collection. The current exhibition is the third part of a trilogy which all together tells the history of modern art from a German perspective and features works from 1968 to the turn of the century. Apart from the permanent collection the museum also houses temporary exhibitions, either in the glassed upper-hall through which you access the museum, as well as downstairs. The museum is housed in a building designed by the German-American architect Ludwig Mies van der Rohe, one of the pioneers of modern architecture as we know it nowadays. 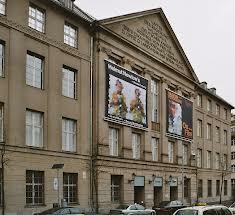 Note that this museum will also close its door for renovation as from January 2015, expectedly for three years. 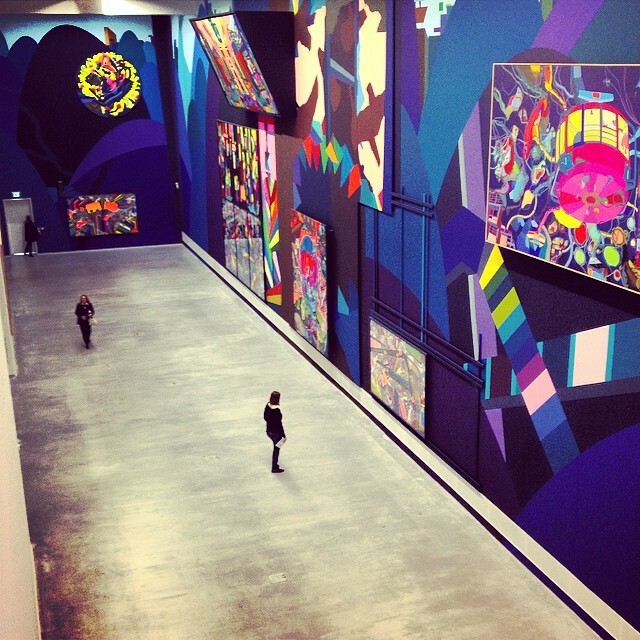 Franz Ackermann exhibition Berlinische Galerie, Berlin, Germany. The Berlinische Galerie – Museum of Modern Art is Berlin’s youngest museum and at the same time one of the most important ones to get a good feel for the current art scene in Berlin. It collects and displays classical modern art and contemporary art as from 1870 onwards in all kind of forms, from paintings to objects to multimedia projects in a former industrial hall of 4,600 m2 with high ceilings. Although the museum focuses on local artists, the international appeal of this place is high, as Berlin has been a popular place for international artists to live for shorter or longer periods of time. Whereas temporary exhibitions fill the ground floor, on the first floor the museum takes you through art in Berlin from 1945 until now. Through the combining texts you get a real good feel for the art scene in Berlin during the last 70 years. Note that the museum is closing from 1 July 2014 – March 2015 for renovation purposes. Museum Fur Fotografie, Berlin, Germany. Photo by Sir James. For photography buffs and fans of the world renown photographer Helmut Newton the Museum für Fotografie is definitely worth to spend an hour or two. The museum mainly houses and exhibits works of the famous portrait and fashion photographer, who loaned many of his works to the institution, but you’ll also be able to see works of other photographers, either from the art library’s photography collections or works by those who went into discussion with the photographer via their work. An interesting fact about the neo-classical building the museum is housed in, is that it was a former army officers’ casino. Bauhaus Archiv, Berlin. Photo by Eisenacher. The Bauhaus Archiv contains all type of objects – from art to literature to teaching materials – related to the Bauhaus School, one of the most influential schools of art, architecture and design in the 20th century. Here you can see for example works of Wassily Kandinsky, Paul Klee and László Moholy-Nagy. Besides the permanent collection at display, the museum organises a number of temporary exhibitions each year. 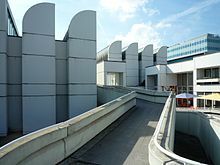 The Bauhaus Archiv is housed in a building designed by the architect and founder of the Bauhaus School, Walter Gropius, who can be mentioned in the same breath as the before-mentioned Ludwig Mies van der Rohe, both pioneers of modern architecture. Street art Kreuzberg by Blu. 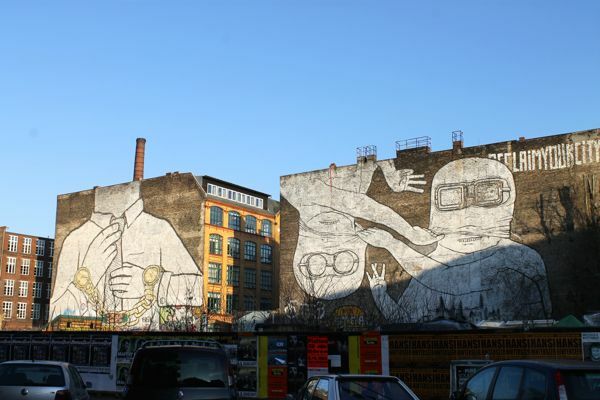 Apart from all museums and galleries Berlin has loads of fantastic street art, which you should really take some time for to discover. Although you can easily do this by yourself by walking through a neighbourhood like Kreuzberg, we recommend going on one of the street art tours, offered by different companies, to make sure you’ll see the works of the best local and international street artists in town, hidden or not, accompanied by some interesting and fun background stories. Or perhaps you’d like to become a street artist for a day yourself? Last but not least, something about the costs. If you’re somewhat familiar with the museum world, you know that visiting museums can be costly, although of course many other attractions are too. To reduce the money you spend on museum entrance fees, Berlin has some great options available, among which the Museumpass – giving you free entrance to about 50 museums and exhibitions during 3 consecutive days for €24 only, available in participating museums – and the Welcome Berlin Card – giving you discounted fees on a number of museums and other attractions during 2/3/5 days. Thomas Dowson of Archeology Travel wrote a very helpful article about the options available here. Would you like to read more to posts like this? Please subscribe to our newsletter or follow us on one of our social media channels such as Facebook, Twitter or Google Plus.